A holiday insurance scheme is available for all passengers travelling on our holidays. This scheme is arranged by Towergate Chapman Stevens and is underwritten by ETI  International Travel Protection (ERV), the UK branch of Europäische Reiseverscherung AG, who are authorised by the Bundesanstalt für Finanzdienstleistungsaufsicht (BAFIN  www.bafin.de) and approved by the Financial Conduct Authority (FCA  www.fca.org.uk) to undertake insurance business in the UK. Should you wish to take out this holiday insurance please include the appropriate premium when booking your holiday. This insurance policy will suit the demands and needs of an individual or group (where applicable) who have no excluded medical condition(s), are travelling in countries included within the policy terms and who wish to insure themselves against unforeseen circumstances/events detailed in the cover section below. Subject to the terms, conditions and maximum specified sums insured. 1. Cover is only available for the whole duration of a booked trip to a maximum 70-consecutive days and cover cannot be purchased once a trip has already begun. 2. The excess amount deductible from a claim applies to each and every claim, per incident claimed for, under certain sections by each insured person. 3. If your money, valuables, any items of baggage, your passport or visa are lost or stolen, you must notify the local police within 24-hours of discovery or as soon as possible thereafter. Please make sure you get a copy of the police report. Failure to comply may result in your claim being rejected or the amount of any relevant claim reduced. 4. You are not covered for valuables, your passport or visa if left unattended at any time (including in a vehicle, in checked in luggage or while in the custody of a carrier, tour operator or public transport operator) unless deposited in a hotel safe, safety deposit box or left in your locked accommodation. 5. Stolen property: You are not covered for baggage stolen from: a) an unattended coach/bus unless it was locked in the luggage compartment of the coach/bus and evidence of force or violent entry to the vehicle is available, or b) the passenger compartment of any unattended vehicle. 3. Have you been given a terminal prognosis. 4. Are you receiving or awaiting treatment for any bodily injury, illness or disease as a hospital day case or in-patient. 5. If you are on prescribed medication, are your medical condition(s) stable and well controlled. 2. Is taking prescribed medication. 3. Has or has had any medical condition still requiring periodic review. Mediscreens office hours are 9am to 5pm Monday to Friday excluding Bank Holidays. You must notify Mediscreen immediately of any changes in medical circumstances arising between the date the policy is issued and the time of departure for the trip. You may have to pay an additional premium to cover your medical conditions. 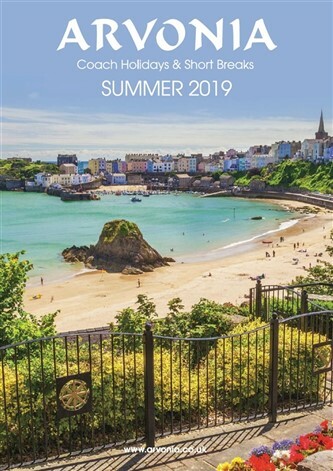 This applies to all destinations including trips solely within the United Kingdom (being defined as England, Scotland, Wales, Northern Ireland and the Isles of Scilly). Please note our Holiday Travel Insurance Scheme is only available to United Kingdom Residents. 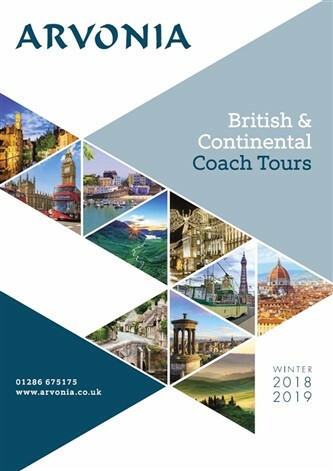 Arvonia Coaches Ltd is an Appointed Representative of ITC Compliance Limited who are authorised and regulated by the Financial Conduct Authority (their firm reference is 313486) and which is permitted to advise on and arrange general insurance contracts.